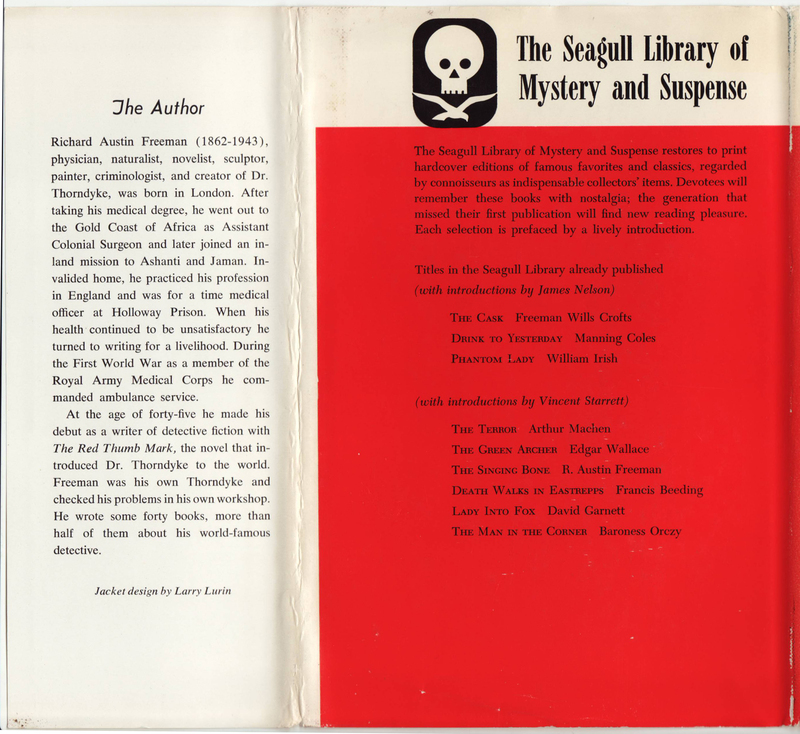 Jackets are unique to each title, but follow a particular pattern where the illustration unique to each jacket is placed in a colored box surrounded by a black and then white band. At least one title, Chandler’s The Simple Art of Murder, has a different jacket design. 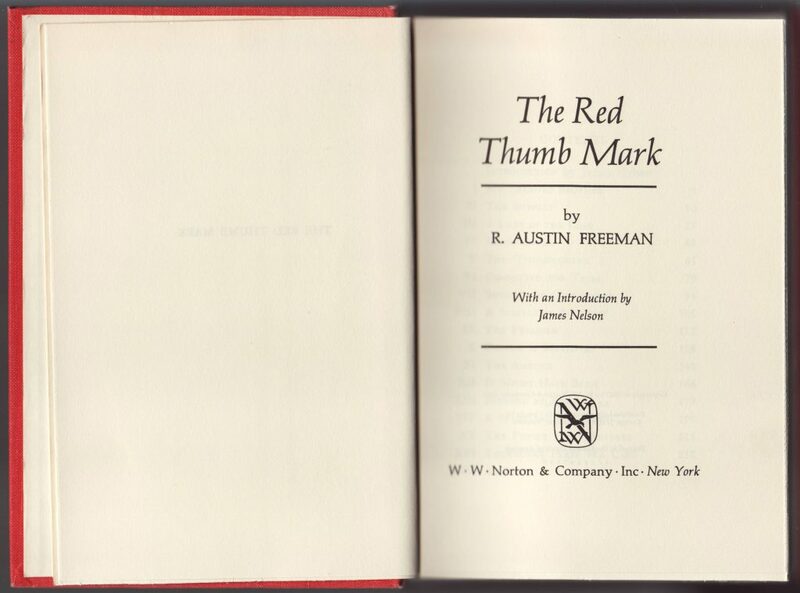 This copy of R. Austin Freeman’s The Red Thumb Mark is dated 1967 and priced at $4.50. 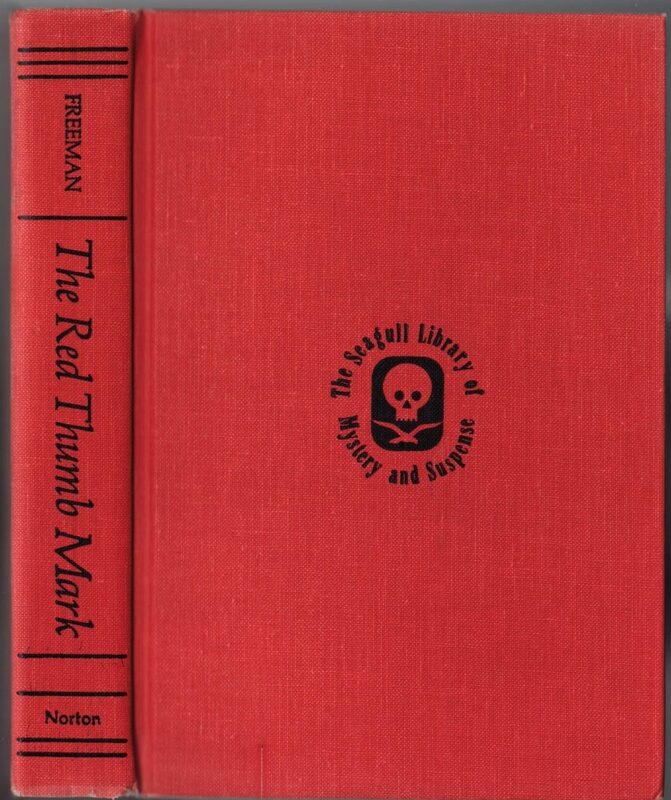 The series name is indicated on the front of the jacket with a skull colophon, also included on the jacket spine. The front jacket flap provides an overview of the title. 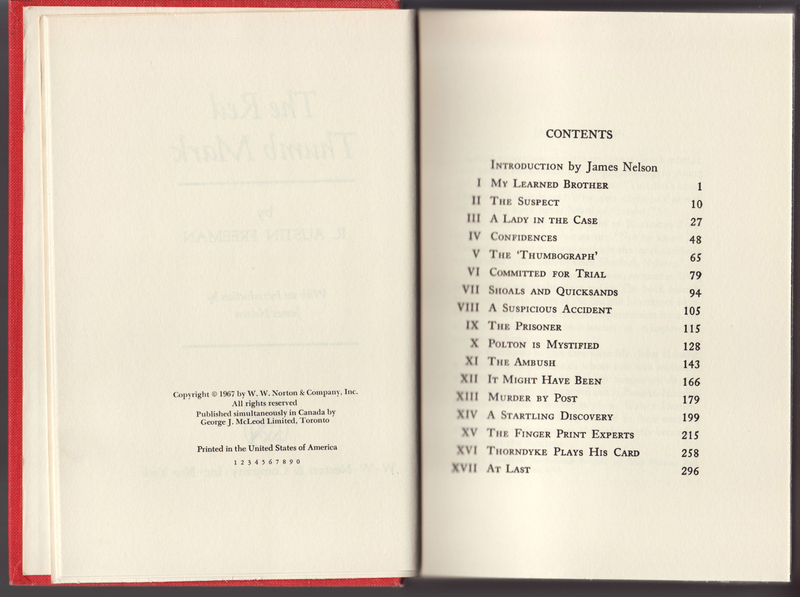 The rear of the jacket offers a prospectus for the series and lists 9 of the 17 titles published in the series. 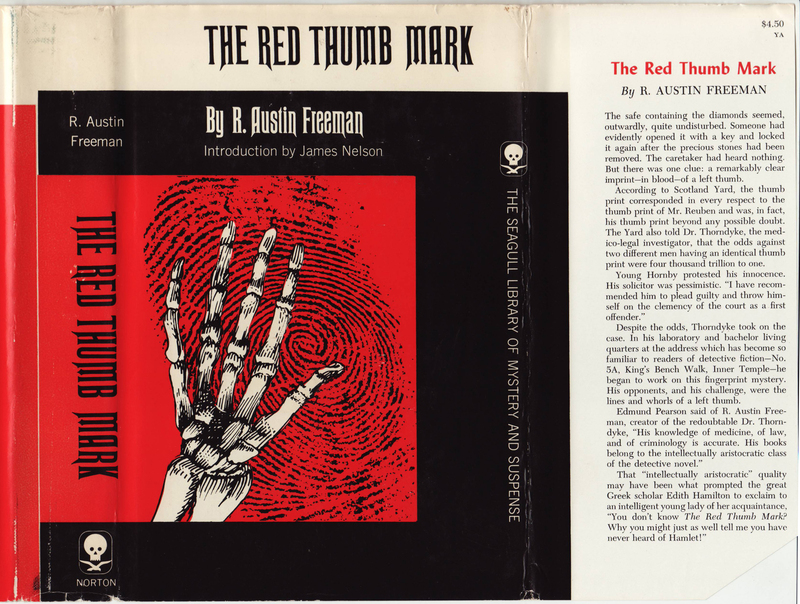 The rear jacket flap provides a biography of the author and indicates jacket design by Larry Lurin. Solid cloth bindings with black typography and decorations include the series colophon and name on the front of the book. 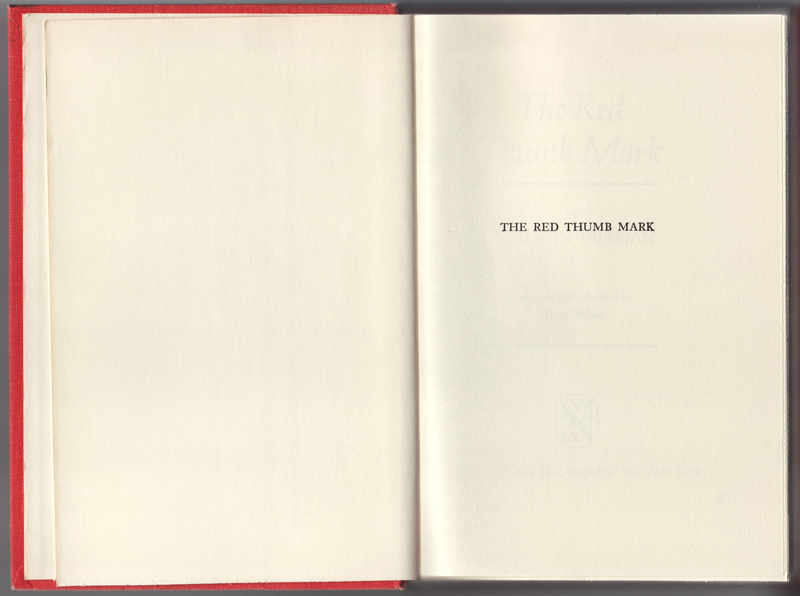 The copyright page, with the 1967 copyright, a printing number line, and an indication that the book was published simultaneously in Canada by George J. McLeod, Ltd, Toronto.